By SuEllen Hamkins, M.D., and Renée Schultz, M.A. "We discovered the simple but revolutionary idea that by joining together in small groups, ordinary mothers and daughters can thrive by facing the challenges of adolescence together. Mothers and daughters love staying close and having fun while taking on the hottest issues girls and women face." 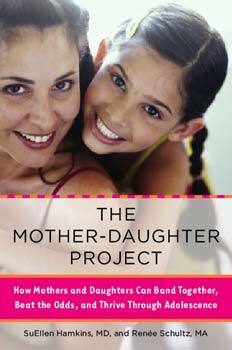 a beautiful road map for strengthening the crucial bond between mothers and daughters." "Every mother of a daughter should read this, try out some of the exercises, and start her own mother-daughter group." 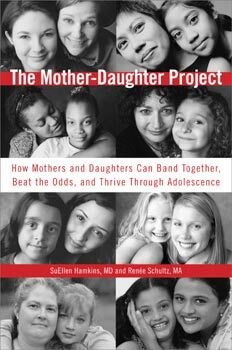 "Kudos to SuEllen Hamkins and Renée Schultz for breaking through the isolation of adolescence and offering inspiration for mothers and daughters alike."